We Malaysian love our Durian, the “king of fruit”. Durian is often enjoyed as a fruit but there are many durian-flavoured products such as coffee, cake and biscuits which are becoming popular too. Ever dreamed of having your favourite Durian fruit in make up? 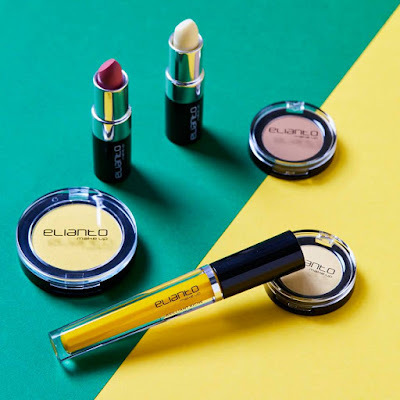 The truly Malaysian cosmetic brand Elianto Make Up unveils the first ever make up collection made from the “King of all Fruits” – Durian Musang King. As a beauty trendsetter, this Durian-flavoured collection allows you to have a taste of durian throughout the day in its lipsticks and eye colors that will make your peepers pop too. Musang King is very much sought-after by durian lovers. Musang King by its original name Raja Kunyit, has deep yellow flesh likewise in the new Elianto Durian Musang King collection, it comprises rich yellow colours for its Lip care, Lip Colour, Highlighter, Mono Eyeshadows and lastly it’s refreshing yet woody scent of Durio Bloom EDP fragrance. The new Durian Musang King Collection comes with rich pigments, soft, smooth and moisturising texture. A go-to favourite for beauty buffs and durian lovers. Do you know that Durian apart from its unique taste, is also packed with assorted nutrients? Amongst the many good nutrients include skin benefits such as anti-inflammatory, anti-oxidants and moisturizing hence, it’s guilt-free. “We want to approach make-up in a fresh, playful and daring way. By introducing a unique collection like Durian Musang King, we are celebrating individuality and diversity. Make up has no boundaries, it gives women freedom to express themselves”, said Mr. Teo Ai Siong, Managing Director and brand owner of Elianto Make Up. “As an established and reputable brand, Elianto is marketed as a masstige beauty brand with presence in key market centres within Malaysia, a total of 50 stores nationwide. Always simple, always fun, women can play with beautiful, vibrant colours each time they enter our store. 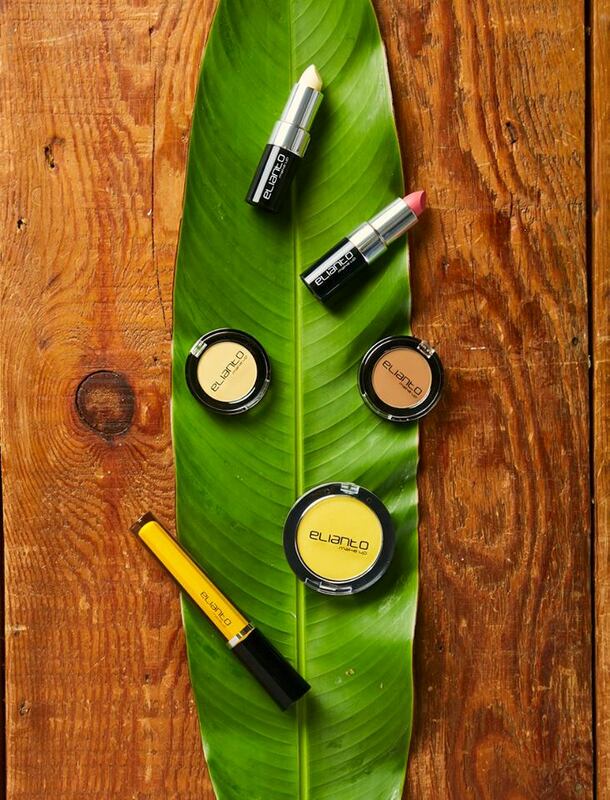 Elianto offers a wide range of cosmetics to suit every woman, with commitment to delivering premium products at an affordable price”, he further added. 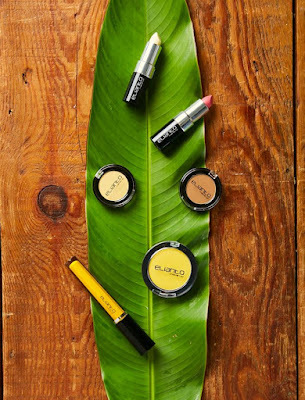 The new Durian MK make up collection has a wide array of tropical-inspired make up look which will be available in conjunction with the durian craze season in July. Go ahead, play with bright, pigmented colors, get blended into this stunning explosion of makeup. Monos celebrate vibrant self-expression with 2 new Musang King shades. Highly charged with pigments, the shades have an ultra-soft formula with a texture that is silky to the touch. It removes access oil formation on the eye lids, giving an amazing matte finish. Wear alone or create multiple eye looks by mixing to create your ideal eye look with these long-lasting eyeshadows. Comes in two shades Cocoa and Yellow. Whether you're going for an everyday beauty or glamour, highlighter is the one product you can’t live without. A touch of highlighter lights up your face with appealing radiance and illuminates your face for a naturally radiant look. You can highlight your cheeks for more define cheekbones, brow bone contouring and to eye enlargement effect. Your complexion looks brighter with a dewy glow. Experience a stroll through a Durian orchard with sweet and aroma rich Durio Fragrance. Infused with durian flavor fragrance, you can feel the refreshing scent with Top notes of Freesia, Bergamot and Grapefruit. Middle notes infused with Jasmine, Muguet, Orange, Rose, fruity and finally the base notes with an appealing combination of Musk, Amber and Sandalwood. Deeply sensual fragrance to make you feel beautiful everyday. Spray right after shower and before your get dressed. 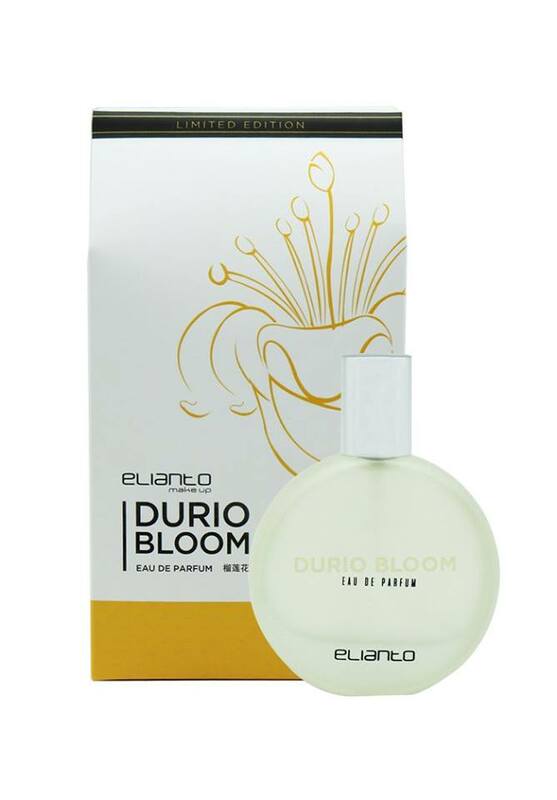 Durio Bloom Fragrance has a long-lasting hold of up to 5 hours. KLIA, Berjaya Times Square, Sogo.